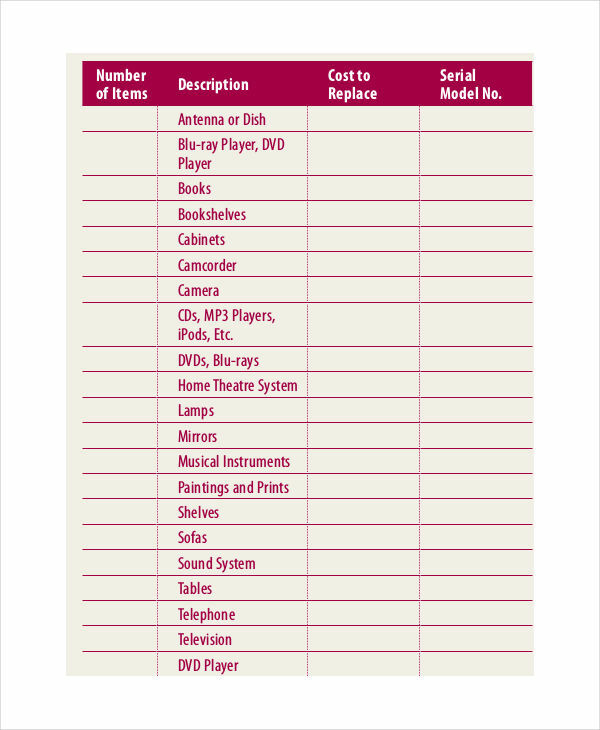 A simple inventory list usually provides a complete listing of different items that need to be considered. 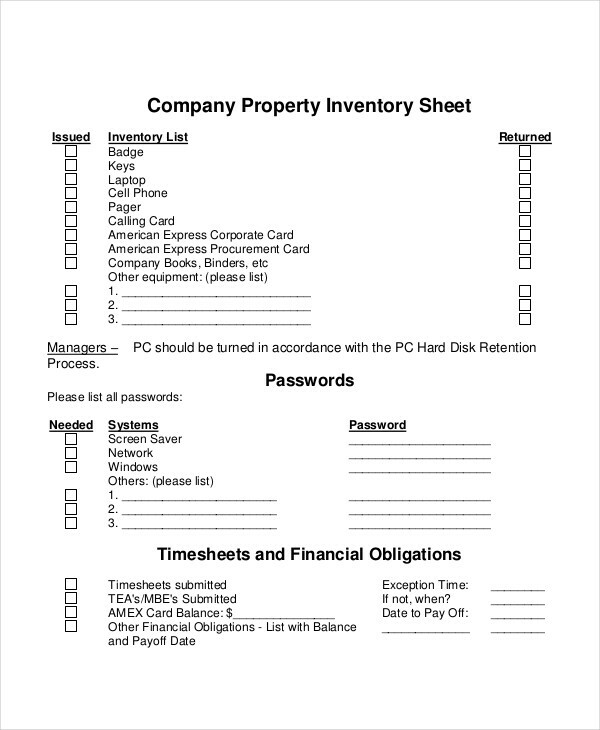 Inventory lists typically include different contents, property or goods in stock, which are considered essential to a company’s daily operations. People often use inventory lists in conducting an inventory or an inspection of a certain area (e.g. storage area, building, or factory). 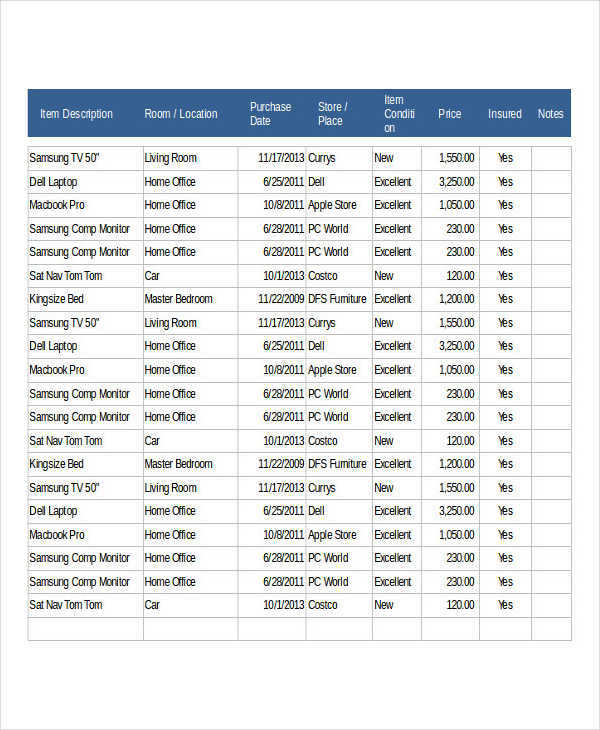 Data Inventory lists are intended to keep track of the movement of stocks in and out of a company’s storage, as well as a company’s overall financial status. 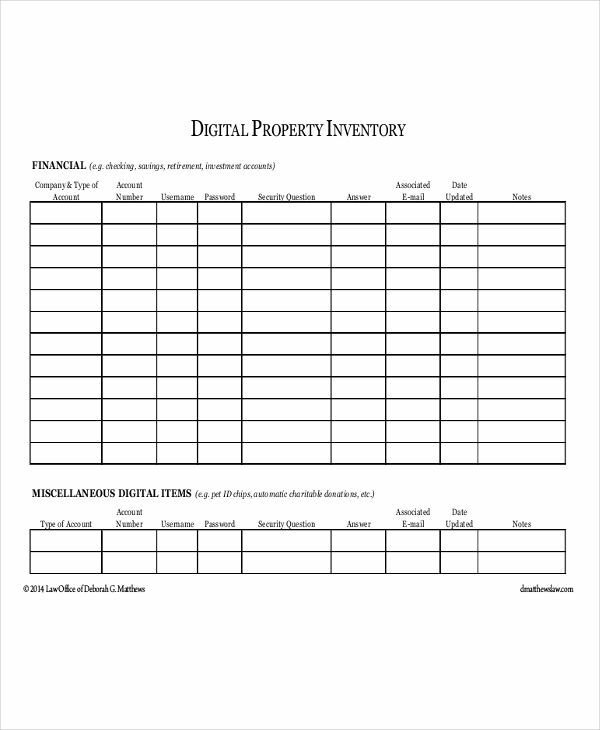 A property inventory example is an inventory containing information on a property (personal or rental property) and its contents. A typical property inventory basically lists the different components of a particular property including the comments and remarks of the inspector. It is typically used upon conducting an inspection of a property and its components to determine whether it is in good condition before the tenancy starts. It can be also used in calculating the gain or loss in the instance of selling the property along with some of its contents. Property name and location. A brief description of the property, including its location and surroundings. Owner’s name, physical address, and contact details. In case an inspection report is conducted by a third party and not the owner himself. Condition of each contents. Detailed remarks on the condition of each items, indicating if a content is in good shape, or not. Other important remarks. A few additional remarks about the property and its contents. Purchase price. In case the owner is calculating how much each content costs in the market. 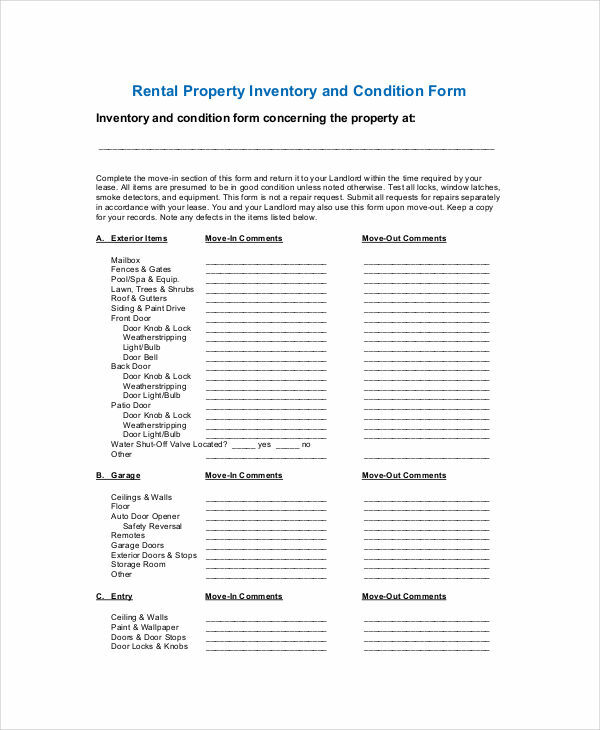 A property asset inventory may or may not include the information listed above. 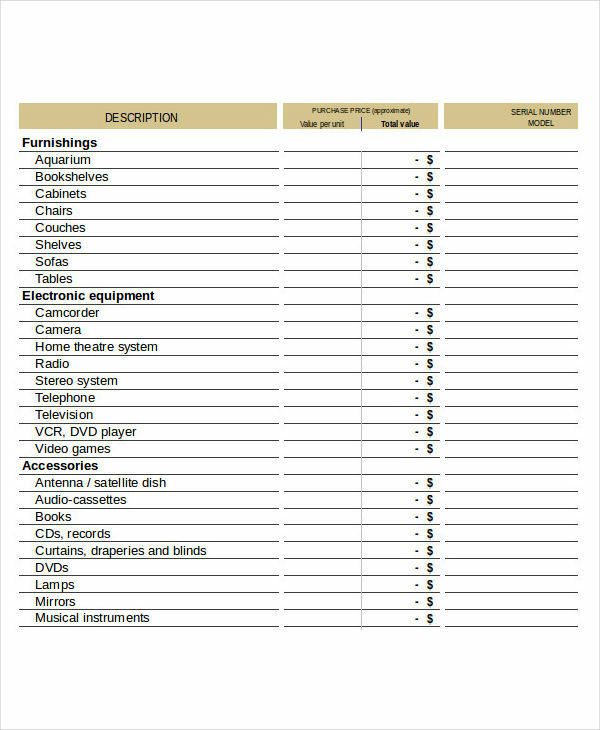 Some inventory lists may include other necessary information not found on the ones listed. Take time to familiarize the contents of the property. This will allow you to identify the appearance of a content, how a certain content works, and whether a content is in good shape or not. Carefully examine each content. This will give you an overview of the overall condition of the property. Also, you need to consider every little detail which might mean a content is damaged. Write remarks clearly and objectively. Keep your sentences short and understandable. Ensure information accuracy. Make sure the information you write is accurate and reliable. Reexamine the area a few times before you finish up. Recheck the whole area before proceeding. The processes will of course, vary from one property inventory to another, depending on the inspector and the purpose of conducting an inspection. Still, the ones listed above are the basic ones, which I hope would help.